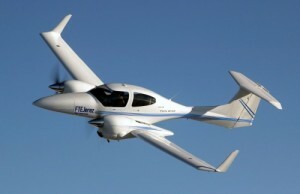 Spain-based Flight Training Organisation FTE Jerez has announced the expansion of its fleet, confirming an order with Diamond for up to eight DA-42 diesel twin-engine aircraft, with a list price of €6m.The first two Diamond DA 42-VI twin-engined aircraft are expected to arrive at FTEJerez before the end of the year with further deliveries expected in 2013. Two state-of-the-art new generation Diamond Simulation FNPTII flight training devices will complement the acquisition of the new aircraft. These aircraft will join FTEJerez’s current fleet of 20 Piper Warrior and 7 Piper Seneca aircraft and accompanying flight training devices. Oscar Sordo, CEO of FTEJerez, said, ‘”We are really excited about this. The transition to a modern airline cockpit will be much easier from these glass cockpit equipped aircraft and the latest safety features that they offer”.